For the first time since September 27, 2015, Northeast Wisconsin is going to experience a total lunar eclipse. It will be optimally scheduled on the Sunday night prior to a Martin Luther King Day – a day off from school – that will allow students to stay up a little later to experience this wonder of astronomy! 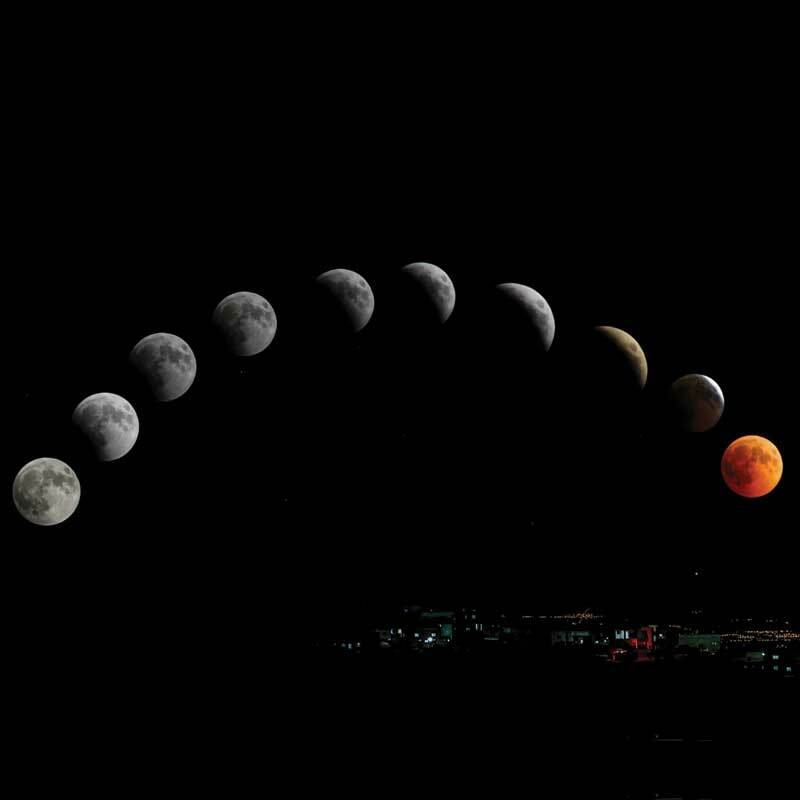 There are three types of lunar eclipses; total, partial and penumbral. A total eclipse means the entire Moon enters the Earth shadow. A partial eclipse means that only a portion of the Moon is in shadow. A penumbral eclipse means the Moon only enters the lightest shadow. Lunar eclipses happen, on average, about twice a year. Not every eclipse is total and not every eclipse is visible from Northeast Wisconsin. If you were a resident of the Moon, this eclipse would be considered a total solar eclipse with the Earth blocking the Sun! Just like the Moon did to Earth in August 2017. Christopher Columbus, using astronomical tables created by a German mathematician, predicted the February 29, 1504 total lunar eclipse to scare the Arawak Indians into providing him and his crew with food. Columbus informed the chief that his god was angry for not providing food. To show his displeasure he would turn the rising Moon red. Columbus and his crew were supplied with food for the next 4 months! On the evening of Sunday, January 20, the Moon will rise at 4:21pm – just 25 minutes before the Sun sets at 4:47pm. The eclipse technically will begin at 8:36pm as the Moon starts to enter the outermost part of the Earth’s shadow. The true fun and noticeable part will get your attention shortly after 9:34pm when the darkest part of the Earth’s shadow starts covering the Moon – it will be noticeable on the bottom left of the Moon. By 10:41pm the entire Moon will be inside the Earth’s shadow – it may turn a dark red (only the most penetrating light from the Sun – red – can make it all the way through the Earth’s atmosphere and get to the Moon). At 11:43pm the Moon starts to emerge from the Earth’s shadow – it will be noticeable as the left side of the Moon starts to brighten. By 12:50am (Monday morning), the Moon will return to nearly full brightness and will completely return by 1:48 am. During the eclipse, telescopes – included with show admission – will be viewing, not only the eclipse, but other astronomical objects! PLEASE NOTE: Total lunar eclipses are SAFE for viewing – only solar eclipses (that occur during the day) need additional safety measures for safe viewing.